This regimental history begins with page 56. Anti-tank Platoon (Sergeant Peters): 2 NCOs, 20 privates, 1 R launcher, 6 antitank launchers, and 9 panzerfausts. Anti-tank Platoon (Sergeant Rudnick): this outfit nearly remained in the same order as it had been before due to its low casualty rate. The new strength: 3 NCOs, 18 privates, I R launcher, 6 anti-tank launchers, and 9 panzerfausts. Anti-Tank Platoon (Sergeant Hackerland): 2 NCOs, 20 privates, no R launchers, 7 anti-tank launchers, and 9 panzerfausts. In the early afternoon &emdash; as almost always around that time of the day &emdash; the American attacked the new defensive positions of I. Battalion near Volkenrath with weak infantry and tank forces. The assault was repelled and the Americans suffered casualties. In the course of the attack, Corporal Melcher (a replacement of 11/20) and Grenadier Gulich (until then Jager 37) disabled a tank each at Volkenrath. Because the company was still in the process of reorganizing that day, there was no clear distribution of the soldiers over the platoons. I can thus only speculate that both of them were in 1st Anti-tank Platoon (Sergeant Peters) under I. Battalion. 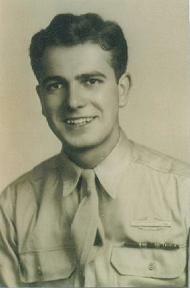 2nd Anti-tank Platoon (Sergeant Rudnick) had been assigned to II. Battalion while 3rd Anti-tank Platoon (Sergeant Hackerland) had taken up positions at the railroad embankment Nothberg-Knippmuhle as anti-tank reserves of GrenReg 89. In the late afternoon the Americans assigned stronger tank forces (about 40-50 tanks)for another attack on Hastenrath. We did notice this preparation early enough and were able to break it up with heavy artillery fire. The impact of our shelling was so much that there was no further American attack in the whole sector of GrenReg 90 on 11/22. In the afternoon I observed from a group of houses in Bohl how approximately one American company came sneaking out of the forest near Bohlerheide and quietly went to assault Hastenrath form the flank. It was my side-job to serve as "battlefield observer" for the regimental staff Apparently, they thought there were still parts of GrenReg 89 in the western parts of the town. As they came closer to Hastenrath they advanced in spurts, squad by squad, repeatedly throwing themselves on the ground. I have fired at them with my assault rifle despite the long range between us. I didn't achieve any impact. Thus I ran in order to find a mortar position. As soon as I found one, I ordered the leader of the mortar platoon to fire at the American infantry. I don't know if he had any "success" because he had to set up an observer post first since they could not see anything from their firing position. On 11/23 enemy pressure on II. Battalion increased mightily in Eschweiler-Bohl, and the pressure on the positions of I. Battalion in Volkenrath as well. But the Americans didn't have much success. GrenReg 89 retreated to Nothberg and Bergrath because of the enemy gains in the neighboring sectors. III. Anti-tank Platoon was assigned to I. Battalion/ FusReg 27 that stood in combat at Hucheln. Since the American elected to advance along the Autobahn south of DurwiB with tanks, we vacated the city of Eschweiler without a fight in the night 11/23-11/24. On 11/24, due to this American attack, I. and II. Battalion GrenReg 89 also retreated to Weisweiler. The company CO of 7./89 and the staff sergeant of II. Battalion both hit a tank at Point 168. Fortunately, the regiment did not have many casualties in the time from 11/21 through 11/24. Even l4th (PanzerJager) Company lost only 4 men (3 wounded, 1 MIA) during that time. On 1 1/25 the American attacked the positions at Weisweiler with strong infantry and tank forces. Four tanks were disabled in the tough defensive stand of I. Anti-tank Platoon (Sergeant Peters), which stood "Am Oberen Schildchen" with I. Battalion GrenReg 89. Sergeant Peters, and Corporal Moller, who along with his gunner were wounded in the course, shot down the tanks. Two other gunners (Private Bauer and Grenadier Miller) burnt to death in their assault on a tank, which they had shot and set ablaze from too close of a range. Three tank crews had to abandon, some of the tanks were burning. 2 NCOs and 10 men wounded, 1 NCO and 17 men MIA, in part wounded and in captivity. On 11/25 one NCO and two privates arrived at the company as replacements. Combat strength in the evening of 11/25 was one officer, five NCOs, and 30 privates. On 11/26 the American attacked the positions of GrenReg 89. They had to be slightly shifted to the rear in parts of Weisweiler. The assault was as powerful as the one the previous day. Lieutenant Reinke, CO of 3./89 wrote to me that his company was fully wiped out in combat with strong American forces in the woods behind the brickyards. He himself had been very fortunate to have been taken out of the battle zone after having received a serious injury. 14th (PanzerJager) Company had the following casualties that day: five men dead, 2 NCOs wounded, one man MIA. Of the five dead, Lance Corporal Baade and Grenadier Behrend burnt to death after they had shot a tank ablaze from close range. In the evening of 11/26 the badly bruised GrenReg 89 had to leave the heavily damaged positions in Weisweiler. The CO of I. Battalion/GrenReg 89, Captain Ripcke later was awarded the Ritterkreuz_for the outstanding defensive effort at Weisweiler. We had to retreat to Frenz and the area around the Frenzerburg and while doing so even had to seal off and clear out American infiltration in that area. II. Anti-tank Platoon (Sergeant Rudnick) and II. Anti-tank Platoon (Sergeant Hackerland) left I. Battalion/FusReg 27 with direction Langerwehe and then was listed as missing for two days because no one had told me that they had been deployed to the Combat Group First Lieutenant Breese, 4./27. On 11/27 I. and II. Battalion were assigned to Combat Group Brager of I. Battalion FusReg 27 due to the heavy casualties that had been suffered. The same went for I. Antitank Platoon (Sergeant Peters). This Combat Group Brager, to which I. Anti-tank Platoon (Sergeant Peters) now belonged, took up positions in the recently cleared area at Frenzerburg and Frenz. Combat Group First Lieutenant Breese with II. Anti-tank Platoon (Sergeant Rudnick), which had just been combined with the remainders of III. Anti-tank Platoon (Sergeant Hackerland) (1 sergeant and 3 men), went back to positions in Langerwehe. In the evening of 11/27, I. Anti-tank Platoon (Sergeant Peters) reported 2 dead and 1 MIA, II. Anti-tank Platoon (Sergeant Rudnick) I wounded and 9 MIA including Sergeant Hackerland. On 11/28 the American attacked in the sectors of both Combat Groups, near Frenzerburg almost exclusively with infantry because of the flat meadows. On 11/28 I sneaked into the Frenzerburg Estate with my runner coming from Langerwehe and using the bushes in the meadows for cover. I wanted to organize the deployment of our last tank-breakers and panzerfausts along with Sergeant Peters. At that point half of the Frenzerburg was occupied by us, the other half by the Americans. There was only a narrow courtyard in between. That night I met my old comrade from I ./89, First Lieutenant Schriewer. He wanted to take a patrol and liberate German prisoners, some of them wounded, who were held in a house away from the fighting. As I learned the next  day his plan worked. It has been said that 50 American prisoners were taken as well in the operation. The situation of the two Combat Groups was nearly unchanged on 11/29. At dusk Lieutenant Colonel Lemcke, regimental CO of GrenReg 89, gave me the order to lead a paratrooper company to the Frenzerburg to relieve the troops there. We reached there without losses following my hidden trail. On 11/30 or 12/1 paratrooper units relieved both Combat Groups. These paratroopers looked like angels to us, the tired and weary soldiers (3rd ParaDiv). The "inventory of men and equipment" rendered the result that 14th (PanzerJager) Company had suffered heavy casualties in the running fights between Volkenrath and the Frenzerburg from 11/21 through 11/30. They are listed below. Anti-Tank Platoon (Sergeant Peters): 4 dead, 3 wounded, 3 missing, overall 2 NCOs and 8 men. Anti-tank Platoon (Sergeant Rudnick): 3 dead, 4 wounded, 12 missing, overall 2 NCOs and 17 men. Anti-Tank Platoon (Sergeant Hackerland): 3 wounded, 14 missing, overall 1 NCO and 16 men. We had also lost I mortar and 14 tank-breakers. In that period of time, between 11/21 and 11/30, 5 tanks were disabled and 2 more set on fire. The tanks set on fire hadn't been reported to me at first because the platoon leaders mistakenly thought that only destroyed tanks counted, but not those that were merely burning. In my opinion a burning tank is damaged enough to be out of commission for the rest of the battle most of the times. The infantry-like deployment of 14th (PanzerJager) Company can be traced with help of the papers of the staff of GrenReg 89, e.g. how many "assault and close-range- combat days" were reported. 09/18:I. Battalion attacks Diepenlinchen from Werth: participants: 1st and 2nd Anti-tank grenade-launcher Platoons. 09/19:I. Battalion in defense of Diepenlinchen and WeiBenberg: participants: 1st and 2nd Anti-tank grenade- launcher Platoons. 09/20:I. and II. Battalion in defense of WeiBenberg, Hill 283, Hochwegerhof, and Duffenter: participants: 1st and 2nd Anti-tank grenade-launcher Platoons. participants: 1st Anti-tank Platoon (Sergeant Hackerland), parts of 2nd Anti-tank Platoon (Sergeant Knirsch), and parts of the company squad and PanzerJager command. participants: remainders of 1st Anti-tank Platoon, 2nd Anti-tank Platoon (Sergeant Knirsch), 3rd Anti-tank Platoon (Sergeant Rommerskirchen), 5th Anti-tank gun Platoon (JG 37), and 6th Anti-tank gun Platoon. 11/18:I. Battalion in sector Albertsgrube-Albertshof: participants: 2nd Anti-tank Platoon (Sgt. Knirsch) and PanzerJager command. II. Battalion at the shooting range Eschweiler Forest and at Donnerberg: participants: 4th Anti-tank Platoon and PanzerJager command. 11/20:I. Battalion at Albertsgrube/Hastenrath/Volkenrath: participants: remainders of 2nd Anti-tank Platoon and platoon of Sgt. Peters (remainders of 3rd and 6th platoons). II. Battalion at Hundsgracht, Bohl, Eschweiler: participants: 4th Anti-tank Platoon (Sgt. Rudnik) and PanzerJager command. I. Battalion FusReg 27 was deployed in Hucheln). and 2 Anti-tank Platoon (Sgt. Rudnick) and remainders of 3rd Anti-tank Platoon (Sgt. Hackerland). Unfortunately, it is quite possible that some of the fighting actually occurred one day earlier as listed because the reports from the anti-tank platoons could not always be filed on the day of the battle. The same one-day differential may have also occurred in the data of 12th VGD and in the daily bulletin of the Army Corps. The American First Lieutenant Earl and his division faced the same difficulties. According to his sources the attack on Hastenrath-Scherpenseel occurred on 11/16 while my sources indicate that it was 11/17/44. Now, this was a larger attack, and we were both there. However, 3rd US Armored Division only attacked Werth on 11/16/44 thereby winning the jump-off line for Earl's tank-driven assault. The defensive strength of GrenReg 89 and 14th (PanzerJager) Company dwindled daily after 11/21 due to the extreme losses of personnel and equipment. As a consequence of the immense American superiority on the materiel sector, proven by extremely heavy artillery fire and constant tank assaults with 40-50 tanks in our regimental sector alone (and the tanks could even be replaced when disabled), it was impossible to hold the positions any longer. Had the soldiers of GrenReg 89 not fought till they dropped, much like every German soldier did, the slow and steady retreat would have turned into a "mass exodus into captivity." I have written up this list using all my papers from the war and it is representative for every outfit. In fact, I know that the casualties of my guard companies were even higher. Combat strengths of 1/2/10 or even 2/10 were not rarities! This listing does not only include the total personnel losses but it also distinguishes between the different periods of time of the defensive battles and between the platoons. I have done this in such detail to honor the effort of each platoon. Today, after so many years have passed I want to conclude that this 14th (PanzerJager) Company has always made the impossible look easy, especially given the poor state of training. I do not want to sound boastful and I do not want to diminish the efforts of the other companies in GrenReg 89, but this has to be acknow1edged. The company has defied the immense American superiority in materiel, in part in unsuitable positions, and  it has inflicted such damage among the tanks that the tank assaults in our sector were scald back and even had to be called off on certain days. This extraordinary achievement of the company has not been mentioned in any daily bulletin of 12th VGD or any other superior office; most likely this is so because the full scope of the defensive success was overshadowed by the steady retreat of the front. It may have even gone unnoticed. Nobody has ever been able to count the number of tanks the company shot down. My "count" of September 1946 only includes those tanks that were still standing on the battlefield after two years. Only the American knew how many tanks were lost. Today, American veterans tell us that the losses of tanks were disastrous, i.e. in a scope of unimaginable severity compared to the previous engagements. Even if this fact is reported by a "battle-unproven" tank commander, who is prone to overestimate such a scenario, the more cautious approach of the later battles and the numbers o tanks shot down there, show the scope of our efforts. These defensive successes of 14th (PanzerJager) Company are even more impressive once one considers that the company had been reequipped in July and August 1944. 7.5 cm anti-tank guns had been replaced with rocket tank-breakers and grenade-launcher type43, without any additional training on the new guns for either the crews at the time or the reserves and replacements. Additionally, it has to be considered that after the battle for Diepenlinchen on 11/18, 19, and 20, only about half of the troops that had been trained very briefly in the Dirschau area were left. That we still could inflict such heavy damage on American tanks at Albertshof, Werth, Hastenrath, and Scherpenseel. as well as Weisweiler, has to be attributed to the great vision, courage, and endurance of each and every gunner, but even more so to the experience and leadership qualities of the old officers and NCOs. It doesn't matter whether the cadres were used as platoon leaders, platoon squad leaders, group leaders, or gun commanders or gunners, they all did a great job. It was always the battle experience gained at the eastern front that was particularly valuable. Wherever an American tank assault bogged down under the losses of tanks, these old cadres of 14th Company always formed the core of the defense. These old, wily veterans showed poise in the face of tanks rolling straight at them and then opened fire when the time was just right. They dared to fire at the tanks that were rolling at them, dared to fire at the attacking tanks even though they knew they would draw a barrage from the other tanks and/or artillery in response. Almost every time the gunner hitting a tank was wounded himself. This courage and vision caused the young and inexperienced comrades to follow the lead of the wily veterans. The old core of the company often managed to motivate the young replacements to such efforts that the young guys were high on the list of soldiers that shot down tanks. What is left today is to thank all the comrades of 14th (PanzerJager) Company, GrenReg 89 for their willingness to sacrifice themselves, their courage, their endurance, and their acceptance of strains that are without equal.